First, the work would need to address the structural causes of poverty in sustainable ways. Secondly, the family was committed to investing in work that was relational, not transactional. They wanted to know the people they were walking alongside, building lasting relationships and knowing people’s stories, struggles, and dreams. Thirdly, they wanted to spend time together in meaningful work on behalf of the least of these. Although dollars were involved, the family wanted to invest their lives—the time, talent, and treasure—as a family. Finally, because their son Mark had a particular love for Latin America, the family interviewed nonprofit organizations who were actively breaking the poverty cycle in those countries. Linda offers, “Our engagement with the poor has changed the trajectory of our life as a family and the individual lives of our sons.” After studying Spanish in Costa Rica, Mark later volunteered for eight months with Habitat for Humanity in El Salvador before pursuing law school. Today Mark is helping those with limited physical resources as an attorney. David joined a strategy study team for an orphanage in Honduras, where he discovered the power of business thinking to address the world’s most plaguing problems, spurring him to earn an MBA. Today Linda, Barry, Mark, David, and both the young men’s wives, remain committed to loving and walking with those in need. 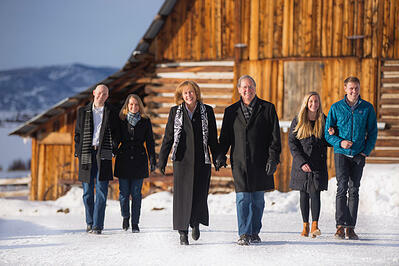 Through their engagement, the Rowan family has seen many lives changed. Linda carries a photo of a Honduran woman named Daisy with whom she has a relationship. Daisy glowed with joy when she proudly turned on the simple faucet in her kitchen, sharing with Linda how—because of World Vision’s gift of clean water—the health of her family had improved and her children could now attend school. Instead of walking miles every day to collect contaminated water, Daisy now invests that time in her new coffee business. To learn more about offering your time, talent, and treasure to God’s mission in the world, contact the NLC helpdesk for more information. Mark Rowan talking with two cowboy farmers from Honduras. 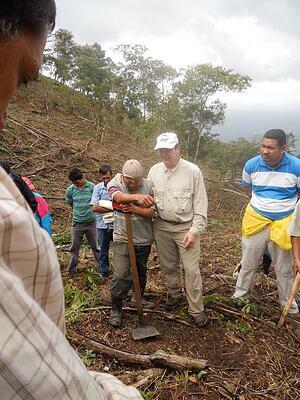 David Rowan picking coffee with a Honduran young man his age. 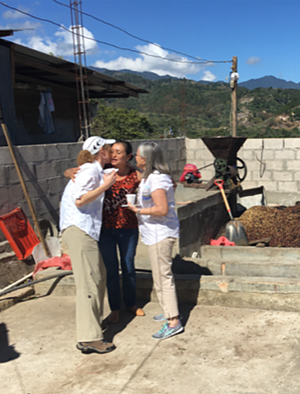 The Rowans' first daughter-in-law joins the family in walking with the poor in a remote village in Honduras. Another woman dear to Linda’s heart is a midwife in Honduras. Linda and Barry having a bit of fun on their trip. Linda with Honduran children after picking coffee. Group photo after picking coffee together.